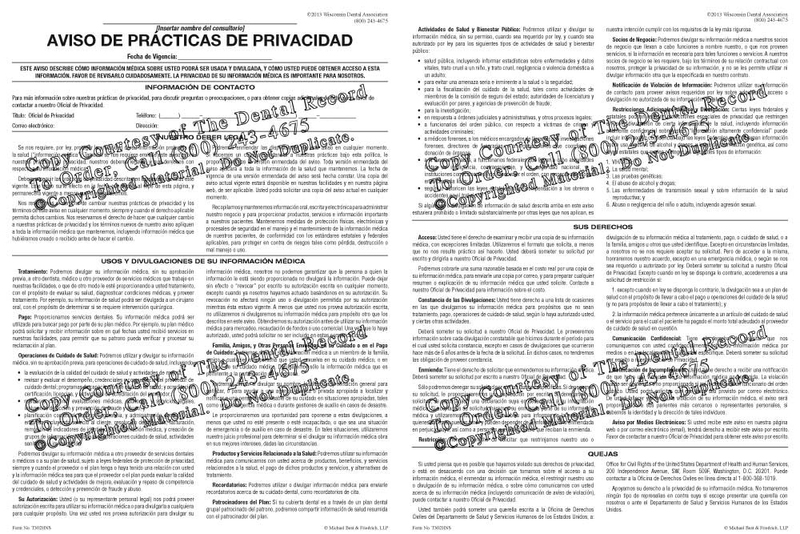 The Spanish Notice of Privacy Practices document is given to Spanish-speaking patients to outline the privacy procedures your dental practice follows. This form is compliant with the 2013 Final Omnibus Rule of HIPAA. An Electronic version of this form is also available for purchase." This form is in SPANISH and helps you inform patients of the HIPAA mandated laws. This form is compliant with the new 2013 Final Omnibus Rule for HIPAA. Tablets of 100 double-sided sheets, pre-punched and cut to fit. Click the image to the right to view an enlarged image of both sides of the form. 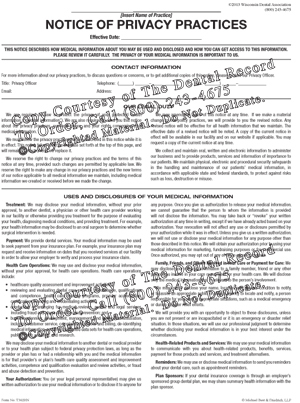 An ELECTRONIC version of this Spanish form is available from The Dental Record for $59.95, which gives you the ability to add your office information and gives you the rights to post it on your website. Please call 800-243-4675 to request the electronic version.